(CNN) Beaches, rainforests, waterfalls, vibrant coral reefs, inactive volcanoes (the last eruption was an underwater one in 1973). 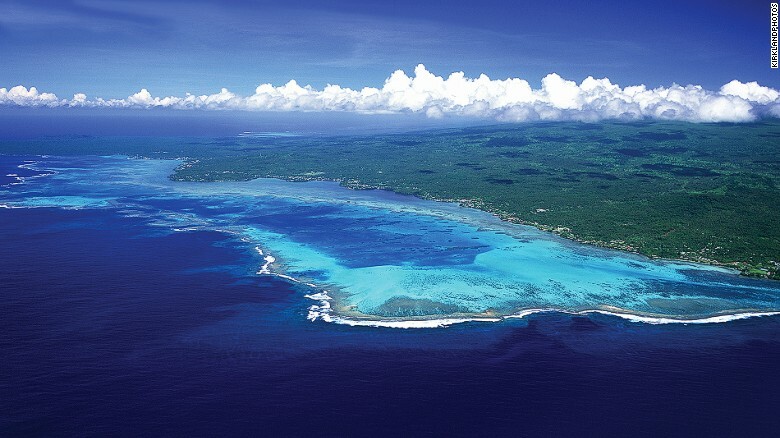 Savai'i is one of Samoa's two main islands. Scalinis: Italian with a Samoan twist. 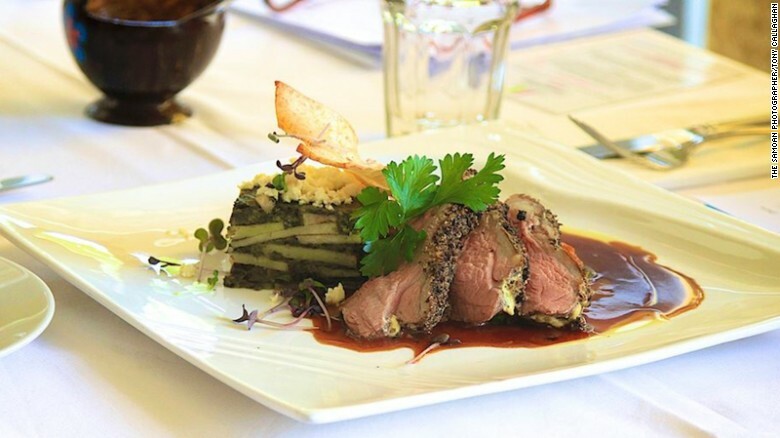 Samoa-born chef Joe Lam and his New Zealander wife and business partner Amanda first openedScalinis in Auckland in 1999. 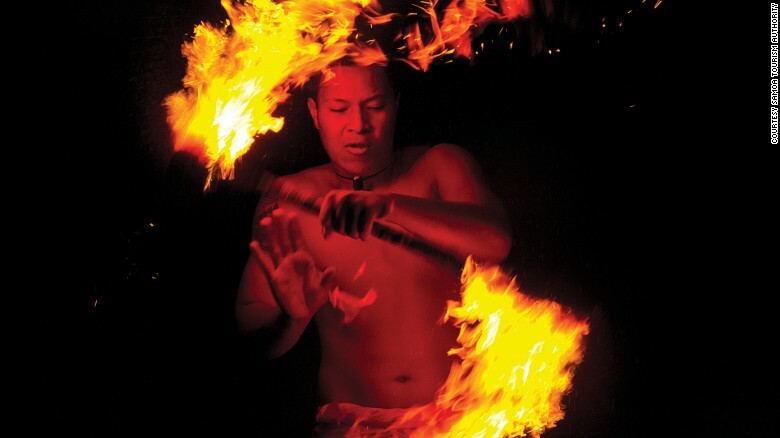 Siva afi is a fire knife dance thaat originated in Samoa. Fiafia (meaning "happy" or "celebration" in Samoan) night offers visitors the opportunity to enjoy a night of Samoan cultural entertainment and food. Climbing the ladder down to To Sua Ocean Trench can be as scary as taking a leap down. While the name might bring deep-sea submersibles and lantern-jawed fish to mind, To Sua Ocean Trench is actually a beautiful swimming hole on the southern coast of Upolu. 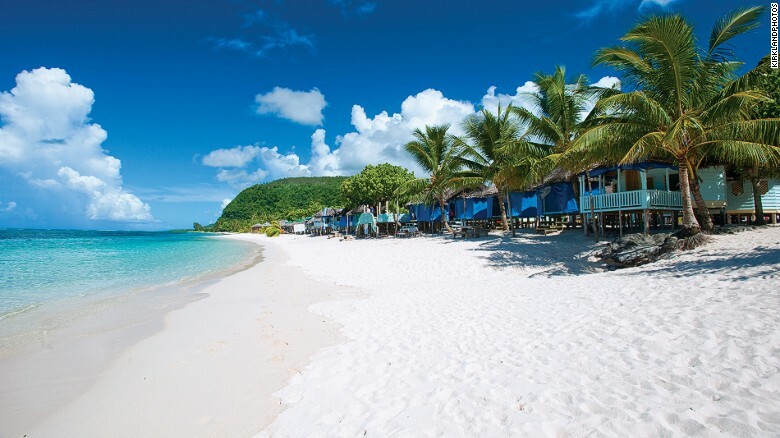 Lalomanu Beach is a quintessential South Pacific beach with its leaning palms, beautiful white sand and views of Samoa's smaller outer islands. Short walk to an incredible view. 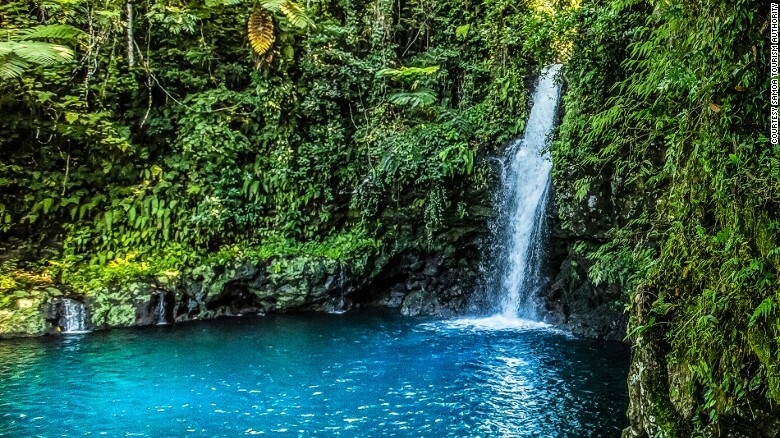 After your entrance fee is collected at a fale just off the road, a 10-minute walk leads to a stunning waterfall and pool on the southeastern coast of Savai'i. Traditional tattooing is on display at the Samoa Cultural Village. Three days a week, Samoan traditions are on display at the Samoa Cultural Village on the grounds of the Samoa Tourism Authority. 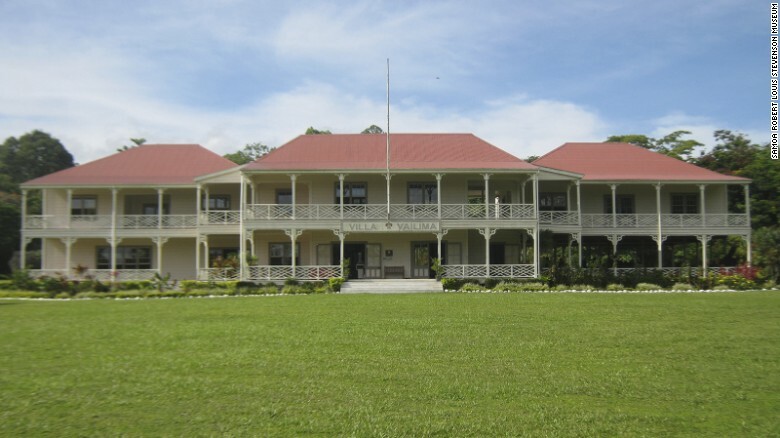 The museum recreates Steveson's home during his stay at Vailima. Robert Louis Stevenson, author of "Treasure Island," "Kidnapped" and "The Strange Case of Dr. Jekyll and Mr. Hyde," spent his final years in Samoa. Water from the Alofaaga Blowholes can fly hundreds of feet in the air. 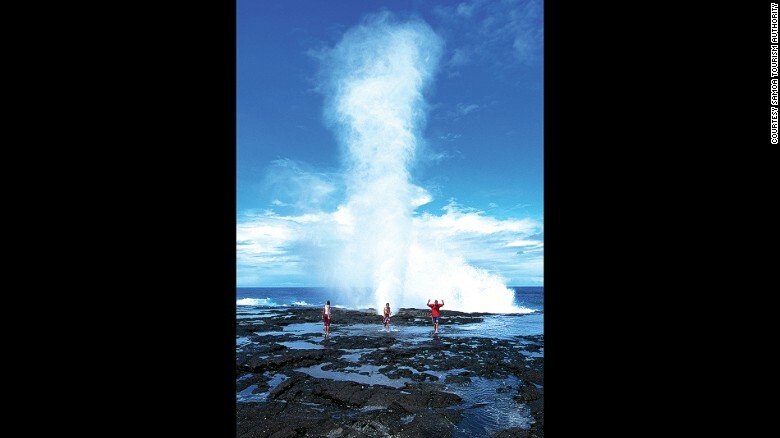 On the island of Savai'i, the powerful blowholes outside the village of Taga are worth a side trip.